I don't really play BBs, but I have him in my IJN DDs (currently Asashio) and he's done well in Zao too. I got fragged today by enemy as I was skilfully dodging my own team's Zao torps...he thought it was my fault of course. Last match my four teammates around me at spawn had one camo and four signals between them, tier 8. I almost quit there and then. We got pumped of course. Great explanation, thanks! I got here by googling WOWS what the f**k is sigma. OK. What I was trying to mean was, if you have an understanding of concealment and spotting (which actually is pretty skilled to execute well whilst remaining unspotted with CVs and radar), then you'll like Asashio because it has great concealment. 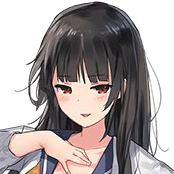 I'm a fairly decent IJN torpboat player, and I love Shiratsuyu and Yugumo, and I also really like the Asashio because it's a different take on the IJN torpboat playstyle. It's still a difficult ship to do well in - you have no AA, firing torps at 20km is a hail mary due to spread and islands etc, and everyone likes to kill you. By 'reasonable' I don't mean 'unskilled moron', I mean someone who has maybe a few thousand games and understands the IJN torpboat playstyle. I play mostly random solo and I love my IJN torp dds - Shiratsuyu and Yugumo my two favourite ships in the whole game. After much thought over the last few months I finally decided to buy Asashio yesterday. It's very early days (only a handful of games) but I LOVE IT. Yeah, you can't torp dds or cruisers, but that's what makes it interesting and actually makes me focus on more core dd responsibilities. If you're a reasonable IJN torpboat player, then you will love the Asashio's concealment and therefore spotting abilities. The guns are useful if you have them pointing in the right direction, can easily finish off a low to half hp dd if you run into one. It has good evasive abilities (I've been radared a few times and managed to escape with losing hp of course but not deleted). And those torps if you have a good bb target (or cv), well kaboom. Of course, if you come up against gunboat dds or just about any cruiser it's new pants time, but that's what balances it. I'm sure I'll have rubbish/frustrating games in it but life's like that, and so far so good. I even feel comfortable in a T10 game with it. I wouldn't recommend it to new players (you'll be in high tier matches and will be a liability) or folks who don't like the IJN torpboat style of play - if you like Shira/Yugo you'll love Asashio. At last, I have achieved something in this game. Do I get doubloons? It's funny how different ships suit different players. I have 61% WR in Yugumo and 52% in Fletch, think I have much more games in the Yugu cos I like it so much. I play it in solo randoms with TRB so I don't succumb to the temptation of using smoke. In fact I don't like using smoke at all, I can never make it work for me. I sold my Shima and use my Yugu for high tier. Interestingly I love playing the Zao and Minotaur, am average in the Zao (but getting better) and howling bad in the Mino (even tho I love it, even losing games tend to be fun in it). Yugu was crap at recent T9 Ranked from Rank 10 though, or maybe it was me that was crap. Around 53 at the moment. The Minotaur in smoke is great at losing karma (and being called cancer in chat), which is really unfair - if only they knew how much my left-click finger aches after playing it. I tend to report anyone who single shots me early on in a game. I can't handle it emotionally and they thoroughly deserve it. Oh, and CV players cos uhm... they're CV players. Are there any open water cruisers ? Like you, I don't enjoy the island hugging tactic and I'm rubbish at it. I'm having great fun in the Zao using fire and manouevre at range, with perhaps closing in a bit and using torps when not spotted (the torp firing angle makes you very vulnerable if spotted). I also find that firing guns then waiting to go dark before firing again helps a lot - whilst keeping moving/angling/kiting. The reds will focus you when you're always spotted due to your firing, but will lose interest (or just fire blind) if you disappear in between salvos. What a fabulous thing to do - thank you for organising! I want to join the lottery please. Also, as a DD main, I'd like to donate any premium DD up to T8 that is available in the premium shop at the time (ship and slot only). Hopefully a BB main will win it, then they can understand the challenges we DD guys have!!! Happy holidays! !